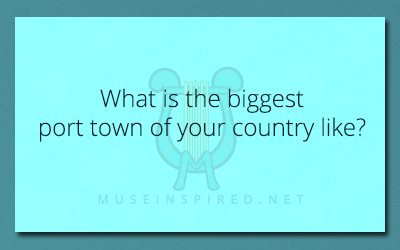 Cultivating Cultures – What is the biggest port town of your country like? Cultivating Cultures - Create a holiday that celebrates platonic friendships. Cultivating Cultures - What is the typical family unit like? Cultivating Cultures - What is a question a guest should never ask their host?